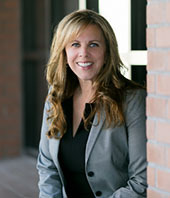 JOANNE STONE is currently the Senior Paralegal at Homan & Stone. She has been a practicing paralegal for the past 30 years. Ms. Stone previously worked as an office administrator and senior paralegal for The Chubb Group of Insurance Companies from 1989 to 2001. During her employment with Chubb, she hired and trained support staff and paralegals and expanded the office from 6 employees to 20. In addition, she assisted the managing partner with trial preparation for complex litigation such as construction defect, premises liability, products liability and general liability. During her 15 year employment at Homan & Stone, she has also assisted with complex litigation cases and trial preparation. Joanne is currently an instructor in the Paralegal Certificate Program at UCLA Extension where she teaches The Paralegal Profession, Civil Procedure II-Discovery and Torts & Personal Injury. Ms. Stone has taught at UCLA Extension for the past 9 years.